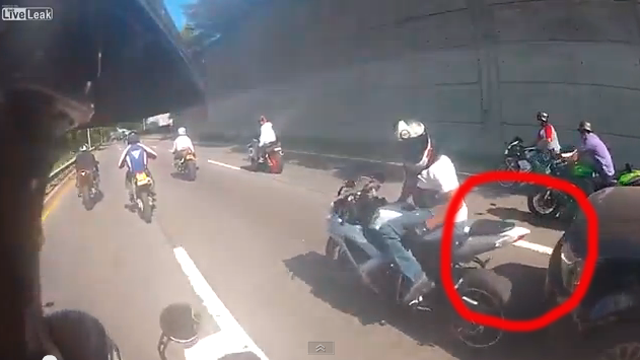 The latest viral motorcycle video doing the rounds seems to be rather disturbing, what is more disturbing is the amount of conjecture and opinion being thrown around based on stereotypes and what can be seen by the video. 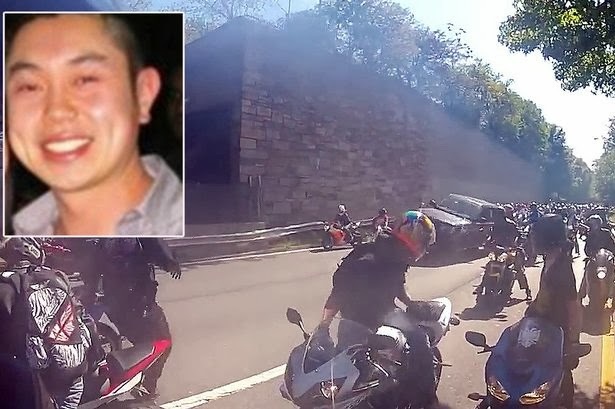 From the majority of the comments on the Web most people seem to be siding with the Range Rover driver, Alexien Lien, however motorcyclists usually don’t go around stopping people on the highway for no reason. Remember motorcyclists are not animals, they are humans also, just because we have an exhaust pipe and wear a helmet doesn’t mean we will jump out of your closet in the middle of the night and pretend to be the ghost from the conjuring. So before we jump to conclusions we should ask what really happened? 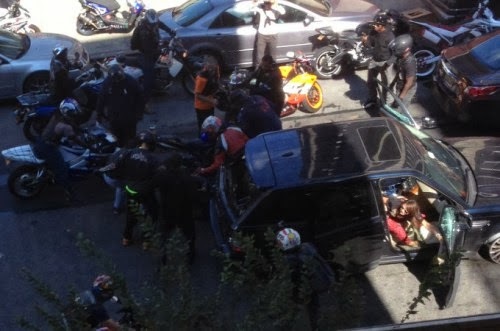 From what I have heard and seen is the opposite, apparently Alexien was driving extremely close to the motorcycles who had gathered for a rally. He bumped into one of them causing a crash but then instead of stopping and phoning an ambulance he drove off. Rumors suggest that the rider is now paralyzed from the waist down. 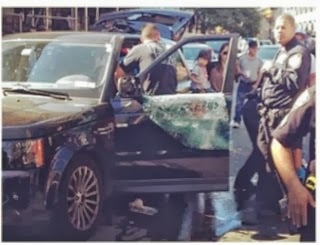 Now obviously the riders felt that they should do something so they tried to stop the Range Rover on numerous occasions, but on numerous occasions he rode over the motorcycles in his way and continued driving, risking further lives including his and that of his family. He eventually was stopped, then was pulled from the car, beaten and cut. Apparently he had his wife and daughter in the car also who witnessed this. Now if you have your wife and daughter in the car do you A. drive dangerously close to a large gathering of motorcyclists and bump one of them off and keep driving or B. turn off the road and find another safe route home? 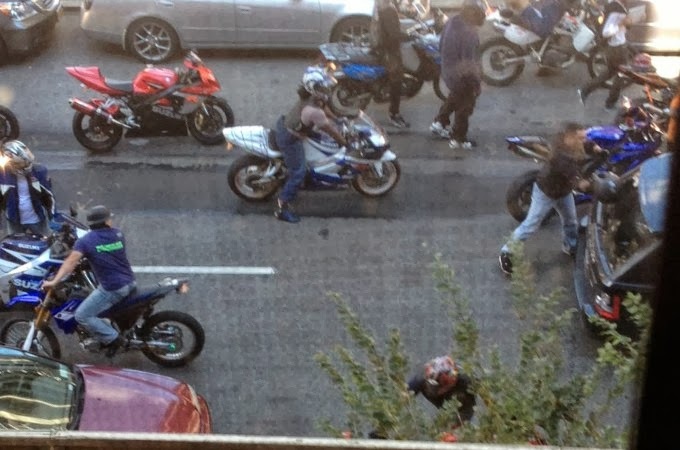 The motorcyclists didn’t just beat him up for fun, in my opinion he is lucky they didn’t kill him for his behavior. At the same time the motorcyclists should be more considerate of the cars on the road and not try brake-check a large SUV. That is as equally silly. However remember when you are on a motorcycle you are the one who is at greater risk, hence the reason why motorcyclists get worked up over bad driving, at the end of the day if a motorcyclist crashes, he or she risks death, whereas the risk is a lot lower in a car, and motorcyclists know this. All round a very negative and disappointing turn of events that could of been prevented if there was a little more IQ present on the day. 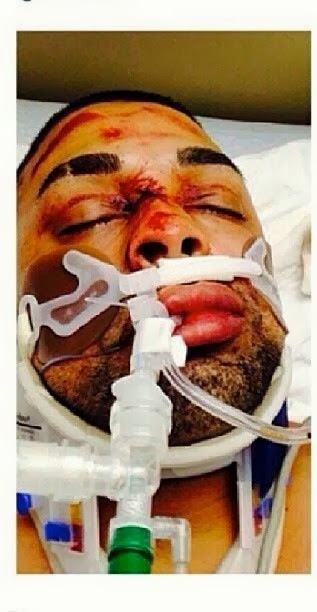 Below is a picture of one of the bikers who was run over by Alexien Lien who is fighting for his life and currently in a coma.